For the rice pudding, place rice, cold water, palm sugar, kafir lime leaves, star anise and vanilla into a rice cooker and steam until tender. Alternatively, place in a heavy based saucepan on medium heat, bring to a simmer, cook for 5 minutes, then place a well fitting lid on top and turn off heat – leaving it to steam gently for 20 minutes or until tender. Keep warm. For the banana, peel and slice the banana into 1.5cm thick rounds. Arrange on a baking sheet lined with baking paper and sprinkle with caster sugar. Heat your grill element to as high as possible and until caramelised. 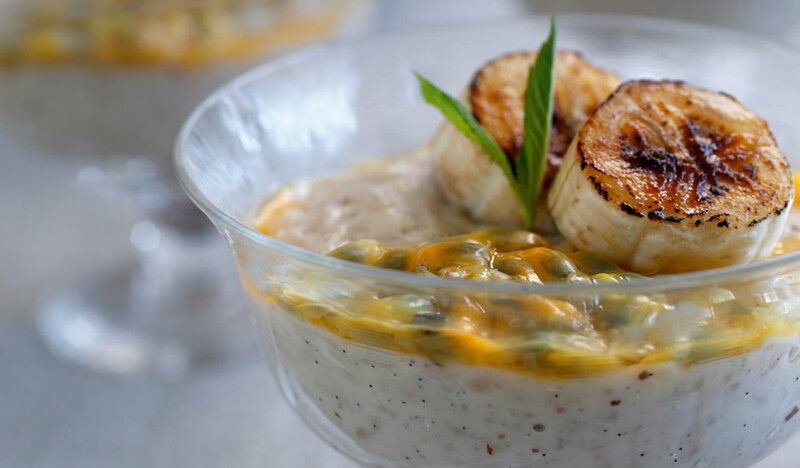 To finish the pudding, warm the coconut cream in a pot until hot. Fish out the vanilla pod, star anise and kafir lime leaf from the rice. Stir the hot coconut cream through the rice, until it’s combined and creamy, without making it mushy. 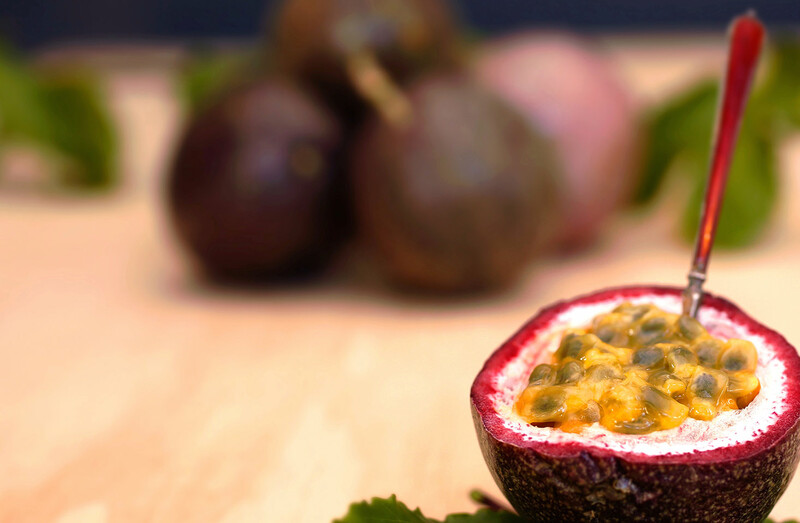 Serve in bowls topped with caramelised banana, passionfruit pulp and finely julienned mint leaves.